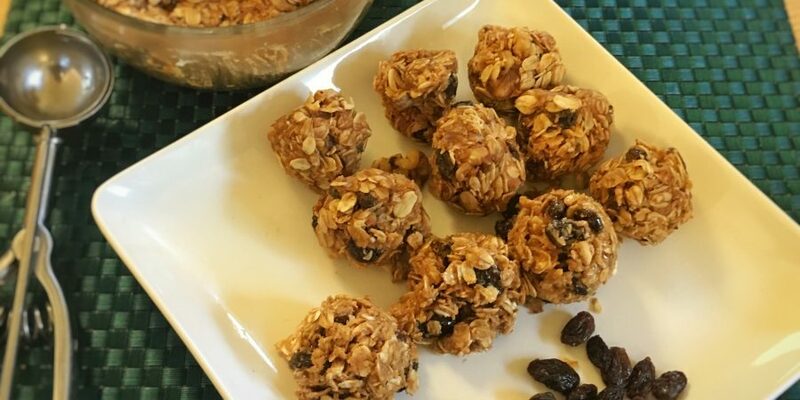 These No Bake Oatmeal Cookie Bites are inspired by my healthy oatmeal “cookie” recipe that I shared a couple of weeks ago. I was asked if I could recreate similar flavors that didn’t have to be baked in the oven. 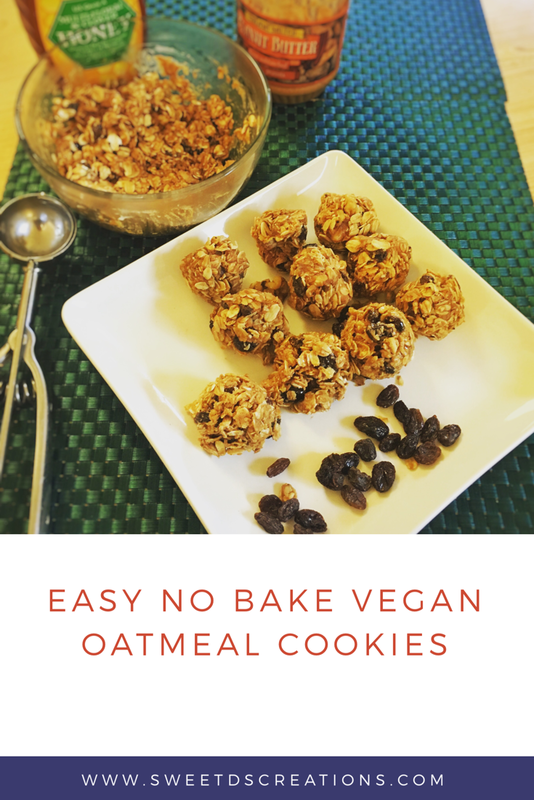 When searching for a way to create a “no bake” version of my oatmeal “cookies”, I stumbled upon the oatmeal energy ball recipes. 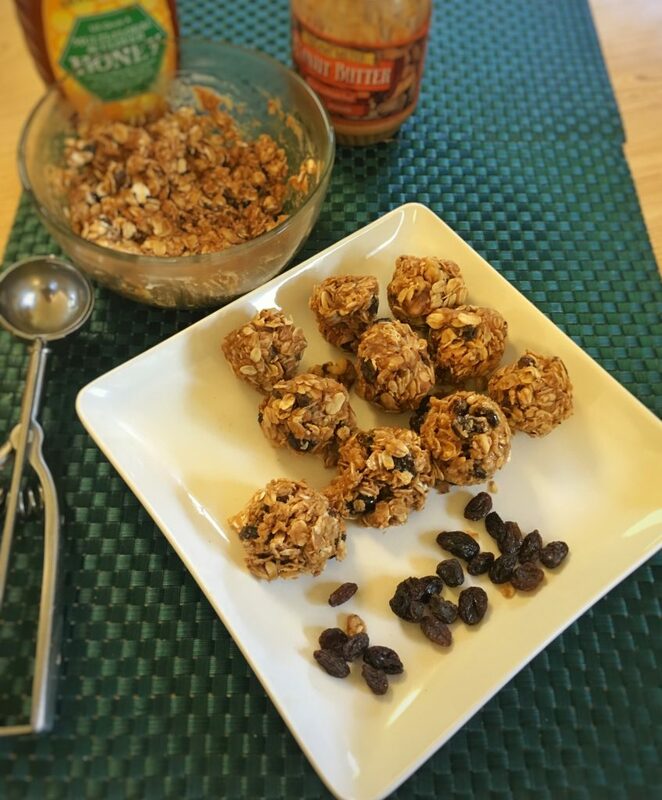 It’s quite popular to take oatmeal, peanut butter or almond butter, and various other ingredients and turn them into easy snacks that people call energy balls. Pinterest is filled with pages of recipes. One thing I enjoyed about these No Bake Oatmeal Cookie Bites is that they can be made quickly and you can put just about anything in them. You can add cranberries, various nuts, chocolate, use almond butter instead of peanut butter, etc. I also liked not having to use a mixer or the oven. This recipe is an easy dessert or snack for people who don’t bake. 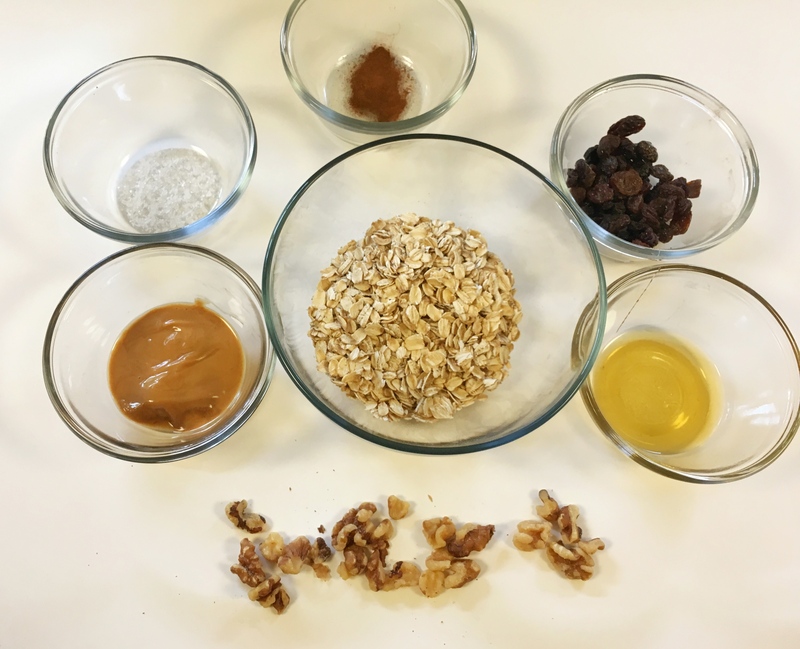 Based on the formula of mixing a nut butter and oatmeal together, I came up with my version of No Bake Oatmeal Cookie Bites. It’s very important to have enough peanut butter to make sure they stick together when you are rolling them into balls. Makes about 10 golf ball-shaped balls. Put oatmeal in the refrigerator for 45 minutes. Remove from the refrigerator and scoop out the mixture and roll them into balls. 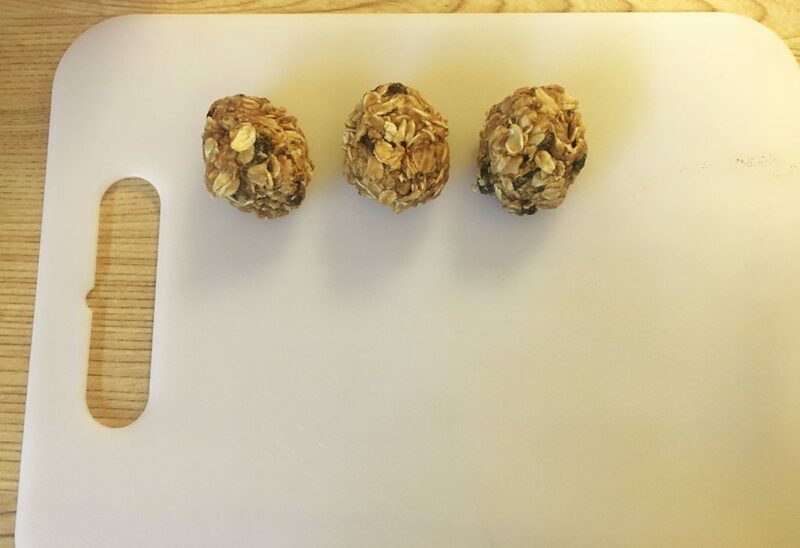 What’s your favorite no-bake oatmeal cookie bites?